There is something about livestock auctions and food that just goes together. These are major get together locations with a specific function in the farm economy of Iowa. 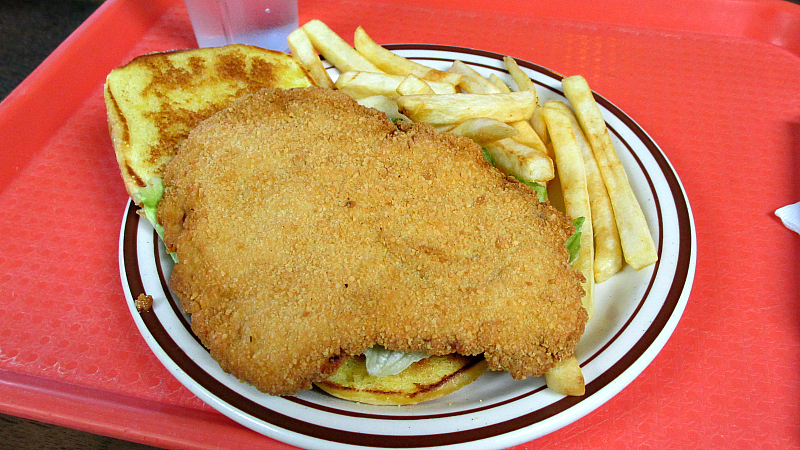 There are sale barns all over the place in rural Iowa, and many serve food on sale days. There have to be a few that stay open during the week, and I stumbled across one in the far south of Iowa in Lamoni. Location: 900 East Main St. in Lamoni, Decatur County, Southern Iowa. Directions: Take the Highway 65 exit from I-35 and turn West. 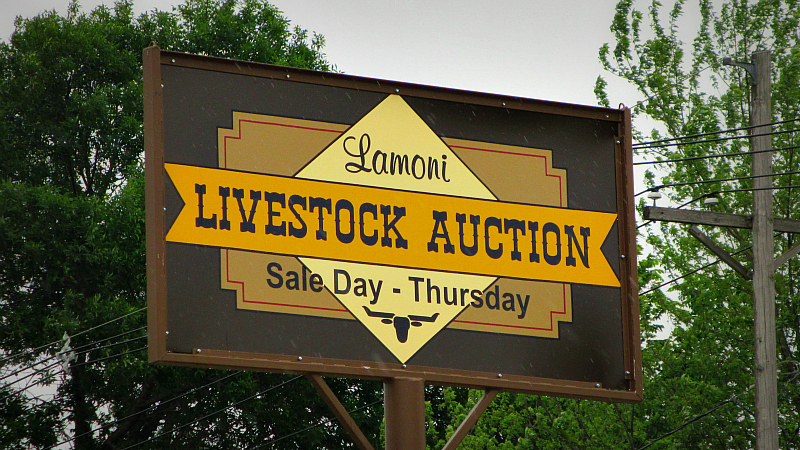 The road turns into Main St in Lamoni and the Sale Barn Cafe is close to the city center. 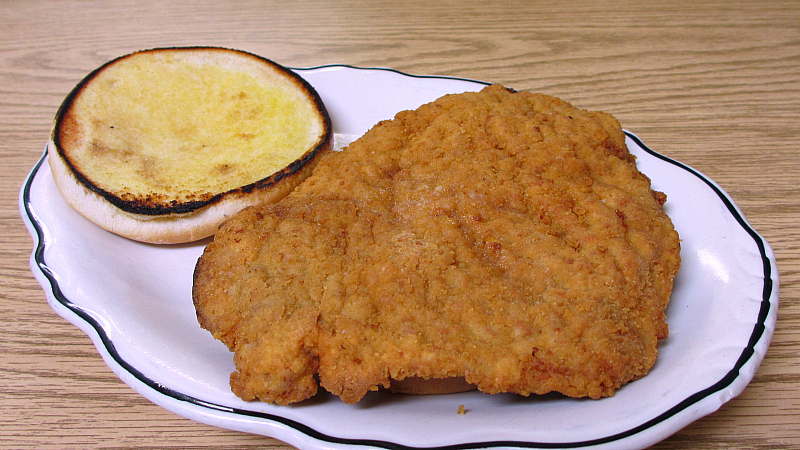 The Tenderloin: The pork loin had been cut into a basic triangle shape. Breading felt like a little bit of cracker crunch and just a touch of seasoning. The white pork loin meat was steamy and warm while tenderizing had left the grain of the meat barely disturbed for a nice chewy texture. The edges had a little bit of untrimmed fat that could be chewed apart and did not take away from the enjoyment of the sandwich. Overall 7.8 out of ten. Also on the menu: There is a hot beef sandwich and tenderloin served hot beef style, something called a Chuck Wagon, burgers and sides. The daily specials come with a roll and a couple sides. 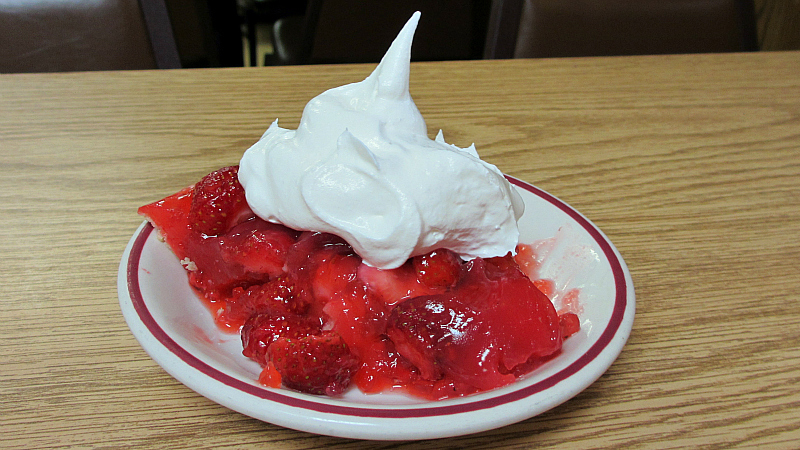 The pies and other desserts are often made with fruits from the local Amish farms. They also sell homemade bread. Service: Its basic seat yourself table service with a register at the counter in the back. Ambiance: Its a cafe inside a livestock auction building with wood paneled walls and tables for seating. The outside will smell like cows on a hot day. 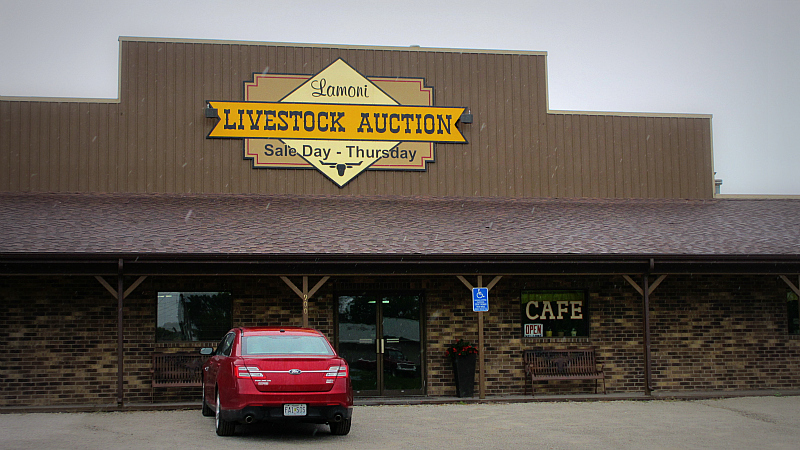 Final Thoughts: Its no secret that livestock auction houses will have some good food. The hard part is getting into town and knowing the when and where to go. My internet searches have not found any other sale barn cafes with regular weekday hours, and information about any others would be appreciated. Mr. Filet is a small cafe for the downtown office lunch crowd that fits into a few niches that are becoming harder to find in each passing year. 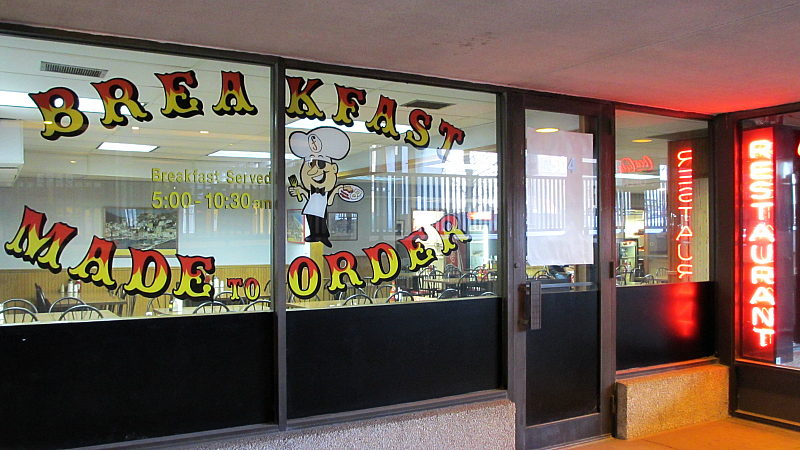 Its a fast order grill run by Greek-Americans, which is a tradition across the country. Its also a low price steakhouse, something nearly impossible to find in an owner operated cafe these days. Finally, its a place that has survived in one of the worst locations imaginable for any business. There is zero curb appeal, the inside is not nice by any stretch of the imagination, and I can't remember seeing an advertizement for this place in my lifetime. Its even come back from at least one devastating fire. Its really a miracle that Mr Filet has lasted so long. Location: 510 7th St in Des Moines, Iowa. Its underneath the 7th and Grand Ave. parking ramp scheduled for demolition sometime in 2014. Directions: There is no direct access from the skywalk but there is a bright neon sign that reads RESTAURANT that can barely be seen from certain angles at street level. 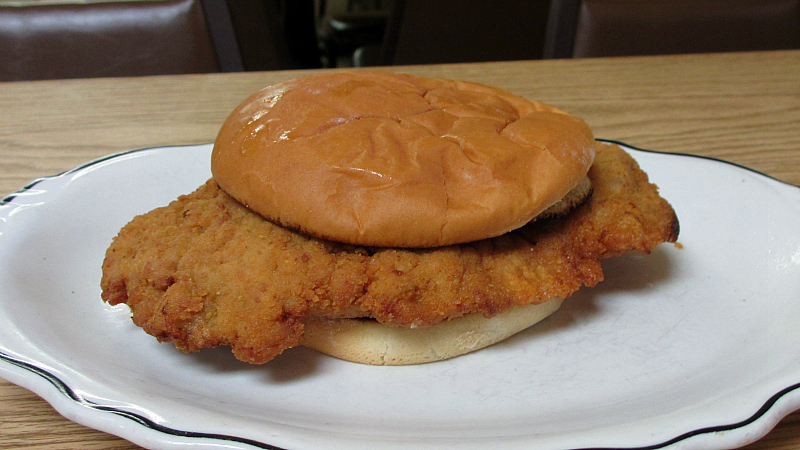 The Tenderloin: This had the classic mitten shape of a pounded out slice of pork loin. Served with your fixings on a buttered and toasted sesame seed bun. 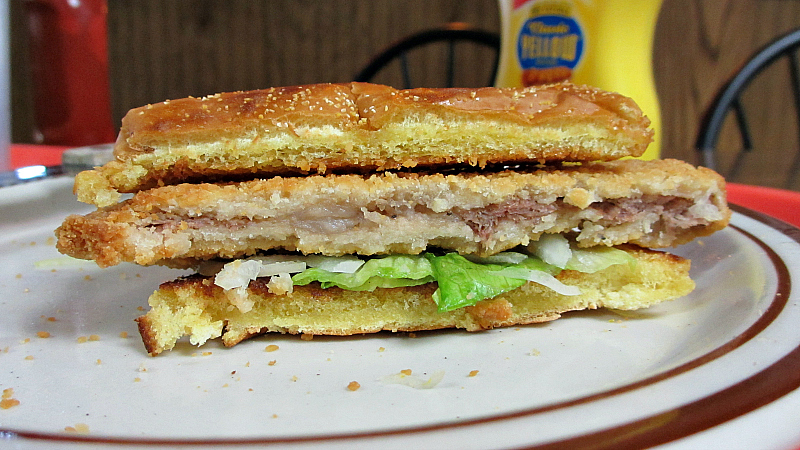 The breading had little flavor but formed a very think layer brown on the outside but with a white chalky textured layer beneath. 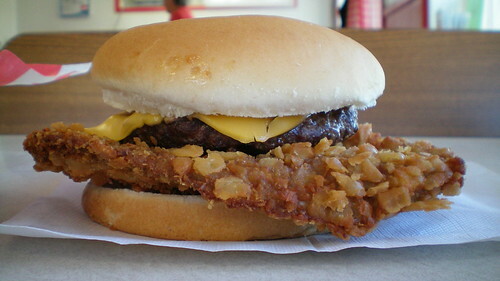 The meat was pounded out into a thin layer squeezed between the breading with no juice and little steam or any moisture. This just was not tasty. Overall 6.0 out of ten. Price: $6.40 with fries after tax. Also on the menu: old Greek grill favorites including breakfast omelets in the morning, burgers, gyros and grilled steaks were the specialties in the afternoon. The most expensive steak is $11.25 after tax. Service: The counter area for ordering is a fixture from decades ago with a lunch trays to slide and a cabinet holding side salads and desserts. The cooked food is taken to your table after a short wait. Ambiance: There is a door labeled "Carryout Orders: Use Other Door" that has been locked all the time for as long as anyone can remember. Do not look at the floors while eating here, don't look at the walls either. 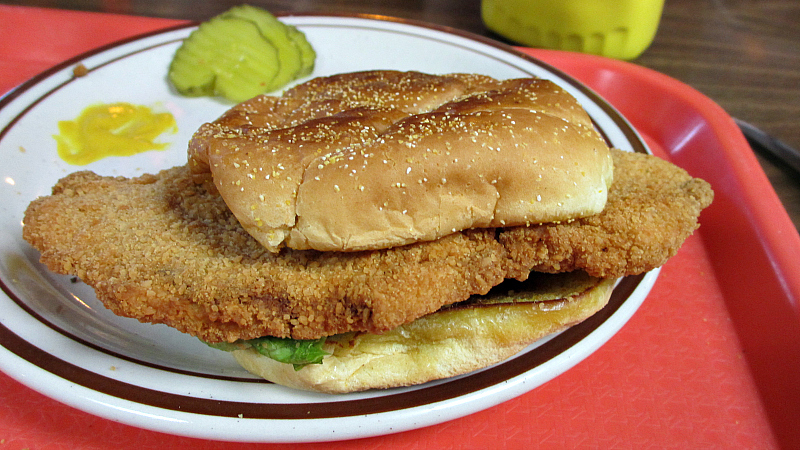 Final Thoughts: I don't get any enjoyment out of eating mediocre tenderloins or taking the time to get photos and write about them. 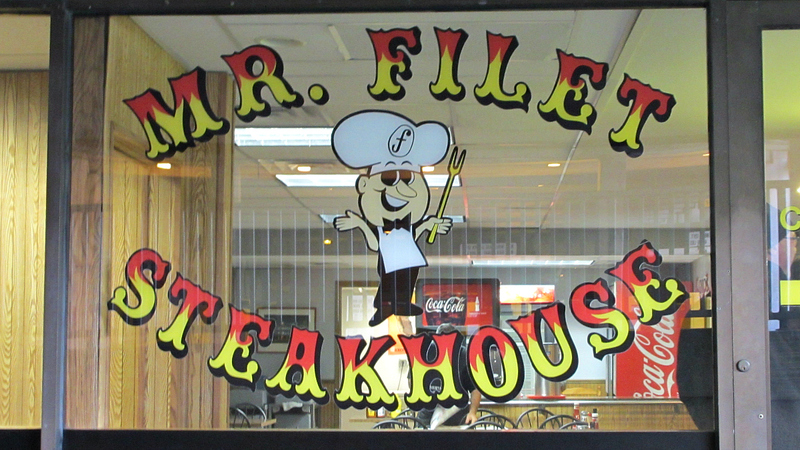 I have a lot of respect for what Mr Filet has done over the years and the disappearing relics of the great contribution these Greek-American grills have added to American fast service and lunch restaurants. George the Chili King might be the last of the Greek owned fast food grills with an actual old Greek guy inside. Downtown Des Moines has a history of demolishing buildings when it seems like a good idea only to regret it a few years later. With this parking ramp and YMCA scheduled for demolition I wanted to get one more account added to the internet before its too late.